Activism and the cultural cringe: some things never change. Following the recent violence committed by white supremacists in Charlottesville, nominally over the removal/non-removal of “historical” confederate statutes, a similar debate has been imported to Australia. In August, a prominent statute of Captain Cook in Hyde Park, Sydney, was inscribed/vandalised (dependent on your media source), with the phrases “change the date” and “no pride in genocide”. The monument’s original plaque reads “Discovered this territory 1770”. Regardless of your views on the merits of using monuments as a focus point for activism (a debate already well covered within the media), I would argue that a further point of interest exists. That is the question – why has it taken so long for the Australian media to cover this issue? Why is it only after the issue became relevant in the US, that we are able to recognise similar domestic concerns? The answer can be understood in part by the notion (generally deployed in reference to Australia’s arts movement, but still applicable) of the ‘cultural cringe’. The term was originally proposed by A. A. Phillips, in his 1950 essay for Meanjin, and has now come to refer to ‘Australians’ inherent lack of faith in their own culture, often at the popular level’. Such a tendency was at odds with subsequent calls within the intellectual community to create a ‘distinctive Australian culture’ which ‘reflected the peculiarities of the Australian environment’. Today the term is invoked in regards to Australia’s unbalanced relationship with its Eurocentric allies; primarily Britain and the US. Can we, or should we, move this notion of the Cringe beyond a literary context? Can we, for example, apply it to the history of activist movements in Australia? In fact, Australia has a long history of importing activist movement from the US. Major movements of the 1960’s for example, such as Perkin’s “Freedom Ride”, the Black Panther movement, and more recently that of Black Lives Matter, all found their origins in the United States. This crossover was more than a drawing of inspiration; in fact, it seemed to act as a way of “validating” Australian points of protest; which should really have been self-evident. Academic Jennifer Clarke writes in her work ‘Aborigines & Activism’ for example, that ‘international comparisons made (that) the Australian efforts at race reform seem all the more important’, as activists ‘used American terms and American experiences to help… understand that blatant discrimination (that was)…. sanctioned and perpetuated by those in authority’. It was these comparisons which pushed activists to believe that ‘Australia could no longer hide from the local implications of new international racial dynamics’. With such explicit links as these, it no longer seems so far-fetched to believe that it is not just the Australian arts world which is so limited by the cringe. The question then is a) whether this applies today and b) whether this is a necessarily bad thing? The now global movement “Black Lives Matter” (BLM) came of course from the US: originating as a hashtag on Twitter, after the 2013 acquittal of George Zimmerman in the shooting of Trayvon Martin. Now a transnational/non-hierarchical movement, BLM functions as ‘an ideological and political intervention in a world where Black lives are systematically and intentionally targeted for demise’. As such, it has been effectively transplanted worldwide; not least in Australia — whose activists were able to draw stark parallels with the treatment of Australia’s Indigenous peoples. Pat Dodson affirmed that ‘this movement resonates around the globe and here in Australia, where we have become inured to the high incarceration rates and deaths in custody of our ATSI peoples. It’s as if their lives do not matter”’. A July 2016 BLM rally in Melbourne drew 3, 500 attendees, and though held nominally to support the BLM movement in the US, explicitly noted the protest’s potential to ‘highlight the deaths of Indigenous Australians in custody’. Issues of institutionalised oppression and violence against minority populations are common to both the US and Australia. What Australia lacks however is ‘a sufficiently effective movement demanding…change’. This is despite Australia having ‘a far greater rate of over-representation of Indigenous prisoners than the US rate for African Americans’. The use of BLM as a representative force in global solidarity against the oppression of people of colour by their respective societies is likely a positive force. As it has no fixed list of demands or leaders, it is fairly malleable and suited to each societies historical specificity. Moreover, ‘there are key demands we should be making of our governments that reflect the demands of US activists’, such as increased prosecution of law enforcement, reduction of systemic bias in legislation, acknowledgement of historic violence against Indigenous peoples of Australia, and others. The issue is not whether the BLM movement is necessarily helpful/applicable to the Australian context. Rather, it is why Australian protest movements continue to take their lead from the US, as to what issues are sufficiently ‘unjust’ to warrant outrage, rather than recognizing them autonomously? This is of course not to say that modern Australia history has not featured efforts at protest against the continued subjugation of Indigenous peoples by a still colonial government — most prominently led by Indigenous activists, such as the recent Invasion Day protests and Don Dale protests, or by organisations such as SEED or Warriors of the Aboriginal Resistance. What it says rather, is that white Australia seems far less likely to view such protests as “legitimate” or relatable, without their joining a more recognisable global/Americanised movement, such as BLM. That is not to reduce genuine domestic protest and engagement to simple imitation, but rather to argue that the same tendency to ‘employ (US ideas) as an ideological template through will domestic political failings could be understood’ that was so present in the 1960s, persists today. The same cultural cringe which pushed the ‘Australian Left must be default seek its heroes and philosophies abroad’ remains relevant, though perhaps less ouvert. The most recent manifestation of such a tendency has been evident through the near-direct transplantation of the debate surrounding Confederate statutes in the US, to our own colonial statutes — namely the Captain Cook statute in Hyde Park. The widespread coverage of this act/its foregrounding as a point of debate has only arisen in response to the similar polemic within the US. As Bruce Charles Scates, a Professor of History at the Australian National University writes, ‘sanitised symbols of violence and dispossession have long stood unchallenged in the heart of our towns and cities’, and that ‘by occupying civic space they serve to legitimise narratives of conquest and dispossession, arguably colonising minds in the same ways white “settlers” seized vast tracts of territory’. It is true that these monuments are purely constructed for white Australia: there is no similar widespread dedication to Indigenous peoples, despite their (far) longer history. In fact, their only relationship to these monuments can be as subjects. The lack of domestic media-coverage of such a debate prior to this month is disconcerting. Such absence suggests that not only the Australian media, but perhaps even activists themselves, continue to deploy their typical deference toward more culturally relevant states — the same propensity so evident in the literary world in the time of A. A. Philips, nearly seventy years prior. 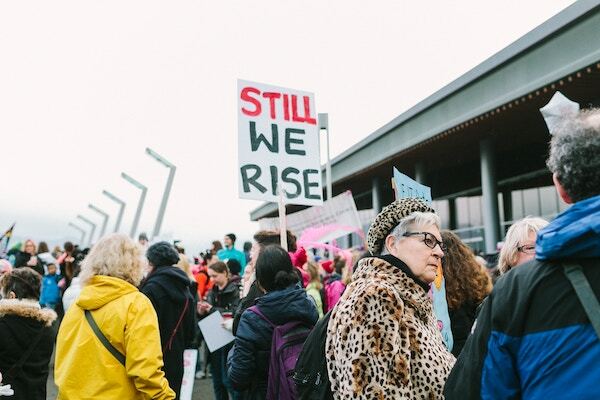 An importing of activist movements, especially those which have local relevance, is not necessarily a bad thing — in fact, it can be helpful in giving domestic grievances a framework through which to be more widely expressed. However, an issue arises when these domestic issues are seen as not worthy of debate or protest, until a similar analogy arises in a Eurocentric context. What is necessary is for Australia to “shake off the cultural cringe”, to ‘transcend the Eurocentrism of colonial relations; to establish a sphere in which Australian mores… are pursued independently of European judgements of value’. Such an approach is not impossible, nor unprecedented. The combination of environmental and union activism offered by the 1960s Sydney ‘Green Bans’ for example, can be fairly categorised as unique to Australia. It proposed a ‘new concept of unionism… the principle of the social responsibility of labor: that workers had a right to insist their labour not be used in harmful ways’. Moreover, it was highly successful: preventing the building of a carpark in the Royal Botanic Gardens in 1975, and boycotting the proposed ‘desecration of of Centennial Park and Moore Park‘, to build a concrete sports stadium. Today, similar approaches are common globally: for example the ‘Green Economy Network’ has existed in Canada since 2008. This rare example of Australian activism which is both localised and original, foregrounds the potential of such an approach to effectively respond to specifically Australian issues and, as well as offering a radical potential to empower subaltern voices on an international level — something especially important within a context of post-colonial resistance. Jemimah Tarasov has written for Overland, SMH, Stir, Bossy & others. 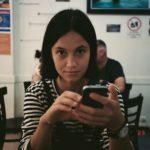 She is a current editor of Overpass (https://overpassmag.com/) and a previous editor of Demos Journal. She is especially interested in queer issues, pop-culture and (of course) feminism. She wishes she could write like Chris Kraus, Helen Garner and Christos Tsiolkas.